The 3 Z’s of Success is twenty-six in a series of articles to help you reach your goal. What are your goals? I know you thought about it! You know, it is your dream, wish or resolution you made! Before you can get to where you want to be, you need to know where you are going. You wouldn’t get on a bus, train or plane without knowing where it was going. I was seventeen (17) years old when I learned how to budget. It wasn’t a formal college class or a corporate training class. It was out of necessity! I was a freshman in college and I had to survive on very little money. I earned money during the summer which had to last the entire year until the following summer. On a much smaller scale, I learned a lot about budgeting and how to control my expenses. These were skills which helped me in my daily life and as a financial executive. “Zest for life” or joie de vivre is something I heard often. I have French relatives who always seem to enjoy their lives. Zest is great enthusiasm or energy for something. I like living life to the fullest! You know experiencing as much as possible, although on a budget. I think I can honestly say I did everything I ever wanted to do in my life. I had a good career working for others and even more success working for myself. As a family, we managed to take nice vacations and not break the bank. We accumulated a lot of great memories and experiences that will last a lifetime. I was brought up to do my best in whatever I did. I am sure that every parent wants their child to do their best. If your best is a C, then it should be celebrated. If you reach your potential, it should be celebrated. My wife and I raised our children to do their best whether it was academics, sports, games or anything they participated in. Positive reinforcement or praise was essential to let your children know that they were doing something well. The reward was doing their best and not to settle for less. Zero-based budgeting is an approach to planning and decision-making which reverses the working process of traditional budgeting. Traditional budgeting uses variances versus past years using a baseline assumption. Zero-based budgeting requires re-evaluating the budget thoroughly without comparing the base to a past year. It is the identification of a task or tasks and funding resources to achieve the task. In other words evaluating the soundness of the numbers and adjusting it appropriately up or down. I keep reevaluating the numbers every month to see if they can be reduced further. Zest for life is a keen enjoyment of living. How can you become successful, if you do not enjoy your career and life? The key to success is enjoying what you do, anything less is a waste of your time and effort. If you are happy in your career and life, you are healthier physically and mentally. This requires many of the attributes of successful people of positive attitude, persistence, optimistic, confident, self reliant, encouraging, supportive, upbeat/happy, enthusiastic and in control of your lives. Are you enthusiastic and happy about your life? Zenith is the highest point or state; culmination. Doing your personal best is necessary for success. It may be in school, career or life. In school, you can always see some students who give their all and others who barely try to succeed. Often good students are successful, but not always! Many students are not interested in school and apply their skills better than the good student. This is why doing your personal best is so important. This is the final article in my series ABC’s of Success; I published in 2012. I hope you enjoyed the series. The 3 Z’s of success are zero-based budgeting, zest and zenith. 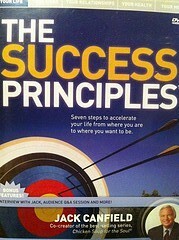 I think everyone wants success in life; business and career; however it takes a concerted effort to reach success. The difference between the impossible and the possible lies in a man’s determination.” Tommy Lasorda sums it up much better than I can! I started this series because I run into so many people who have difficulty reaching success. They want to know my secrets! So I thought I would share them in a format that will be most helpful. I also think this format may make it more interesting and easier to use. My goal in these articles to provide useful and interesting information that will help you succeed. The 3 Z’s of Success is the end of my series, but not the end. Great series, KC! Having that zest for life and being willing to do your best counts for so much. The way you were brought up has something to do with it, as you said. But even if we weren’t brought up that way, we can choose our actions and attitudes. It makes all the difference. I like the zero-budgeting concept. I, too, am always looking for ways to cut back spending. It’s a little victory every time I find a new way! Thanks, I like to get $1.50 0ut of every dollar! Now that the series is done, I have a lot more latitude in what I write about. Stay tuned! Congrats on finishing up the series. I enjoyed it but also look forward to other ideas you’ve been building up! Thanks, I think you will really like Wednesday’s post! Are ypou preparing an e-book of the alphabet rules of success (conditions)? Well worth it, if you ask me. I have thought about it, I am unsure what is involved. Could I sell it (ebook)? How about this: a healthy dose of zero-based budgeting and zest for investing will help you reach the zenith you aspire! Huh? I’ll give that one to you for free ;-). Ta-da! I am glad I am finished, but not bad! Way to stick with the theme! I would’ve run out of steam long ago! Twenty-six (26) episodes was quite a commitment, but I think well worth it. There were times, I found my creative side when I selected some of the words. Over all, I enjoyed the series. Wow, we’re at “Z.” That’s a lot of ground covered. I love the “zeal” point. So much can be accomplished with the right attitude. “Your attitude determines your altitude.” It’s cliche but true nonetheless. So much is mental attitude! If you do not think you can do something, you can’t.